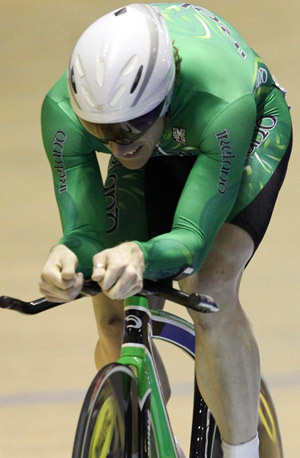 Irish riders Martyn Irvine and Caroline Ryan will today (Thursday) begin their world track championships campaign, with Irvine looking to seal his place in the London Olympics with a strong performance. Competing in the multi-event Omnium discipline, he finished fifth in the European championships last October, and since then has taken fifth, fifth and ninth in rounds of the track World Cup in Cali, Beijing and London. The qualification round and the first three out of the six events will take place today, Thursday, with the remainder on Friday. Ryan will also start racing today, competing in the points race. She will also do the individual pursuit on Sunday. Last year she took top ten finishes in the individual pursuit at the world championships, and has done likewise in rounds of the track World Cup. She, like Irvine, has performed well in training in the buildup to the championships. �My preparation leading into Worlds couldn't have gone better,� she told Irishcycling.com on Wednesday. �After London World Cup I spent a month in Mallorca training with Martyn Irvine. Everything has gone well since we arrived into Melbourne and got settled into the track. The team is completed by Australian-based Shannon McCurley, who will compete in the women�s scratch race on Friday. 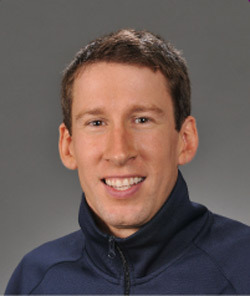 Former US Olympic coach Andy Sparks, who has worked with both Irvine and Ryan, said that he was pleased with how things are at this point in time. �Cycling Ireland got us here with enough time to have a true peak performance and we have been seeing some great times come out of this early arrival. Both Caroline and Martyn have seen personal best times in our pre-race metrics such as standing start and flying two kilometer efforts,� he told Irishcycling.com. �Caroline�s training in Mallorca over the last month has been really faultless. She has worked super hard with our Performance United women�s training group which currently includes Sarah Hammer (USA), Jennie Reed (USA) and Sofia Arreola (Mexico). The ladies have been working hard for two to three workout s a day and I think the results will illustrate this commitment to hard work they all made. Caroline will be making some massive gains over the 3K pursuit time she road in London 4 weeks ago. She is on great form. It�s clear that the 26 year old has made an impression on him. �Martyn continues to impress me every day, especially when I look back on where we started this journey almost two years ago,� he explained. �People see the unbelievably strong Martyn now, but not many people outside of Ireland know that last year was his first year doing the bunch racing. Martyn Irvine has worked harder than anyone in the world over the last two years to qualify for the Olympics. No one deserves it more.